Kuswandi B, Ahmad M.	Recent progress in alcohol biosensors. OA Alcohol 2014 Jan 18;2(1):1. Harlaar N.	Establishing causality in epigenetic studies of pre-natal alcohol exposure, alcohol use and alcohol use disorders. OA Alcohol 2013 Dec 01;1(2):19. 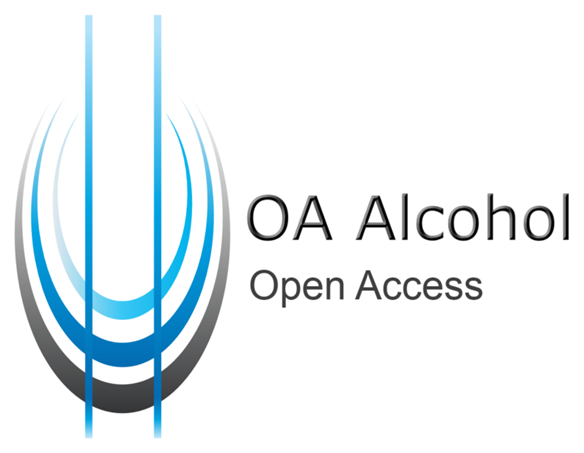 Martin M, Klimas J, Dunne C, Meagher D, O'Connor WT, ODwyer P, Smyth BP, Cullen W.	Genetic pre-determinants of concurrent alcohol and opioid dependence: A critical review. OA Alcohol 2013 Nov 01;1(2):18. Mehta AJ. Pulmonary consequences of alcoholism: A critical review. OA Alcohol 2013 Oct 17;1(2):17. DeMuro JP. Alcohol withdrawal syndromes in the critically ill. OA Alcohol 2013 Feb 01;1(1):1. Zhao Y, Li SQ, Chikritzhs T.	Alcohol-attributable deaths among indigenous and non-indigenous Australians. OA Alcohol 2013 Apr 01;1(1):5. Shapovalov KA, Shapovalova LA. Features of alcoholism in women. OA Alcohol 2013 Aug 01;1(2):13. Sznitman SR. Peer social network and adolescent alcohol use. OA Alcohol 2013 Jun 01;1(1):9. Elleuche S, Antranikian G.	Bacterial group III alcohol dehydrogenases - function, evolution and biotechnological applications. OA Alcohol 2013 Mar 01;1(1):3. Shapovalov KA, Shapovalova LA. Alcohol and injuries: Causes and consequences. OA Alcohol 2013 Jun 01;1(1):10.